An orthopedic surgeon who is a joint reconstruction specialist is an expert in the diagnosis, treatment and especially in the prevention of injuries and disease of the musculoskeletal system. The tissue types most commonly managed include bones, joints, ligaments, tendons, muscles and nerves. The body areas that are commonly managed within this sub-specialty of Joint Reconstruction are: Shoulder and Elbow, Wrist and Hand, Hip and Knee. A Shoulder and Elbow specialist is an orthopedist who focuses on the diagnosis and treatment of shoulder and elbow disorders and conditions. Orthopedic shoulder and elbow specialists provide non-operative and surgical treatment to patients of all ages, including athletes. Wrist and Hand orthopedic specialty is the field of medicine that deals with problems of the hand, wrist, and forearm. Wrist and hand specialists care for these problems with and without surgery. They are specially trained to operate only when conservative measures are not optimal for success. Many wrist and hand surgeons are also experts in diagnosing and caring for shoulder and elbow problems. A Hip and Knee specialist is an orthopedic doctor who specializes in the diagnosis and treatment of hip and knee disorders and conditions. Orthopedic hip and knee specialists provide non-operative as surgical treatment to patients of all ages, including athletes. Dr. Baron received his Doctor of Medicine from the Georgetown University School of Medicine where he was a member of the Alpha Omega Alpha medical school honor society. He then completed his orthopedic training at Georgetown University in Washington, D.C. 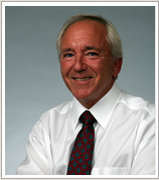 He is the founding partner of the Orthopedic Group and has been practicing in the Pittsburgh region for over 25 years. During that time, he has become one of the busiest joint replacement surgeons in the region, and has built an outstanding reputation for his total hip and total knee replacements…..
Dr. Kenneth Molinero, D.O., is a board certified, fellowship trained orthopedic surgeon. Caring for patients across the entire spectrum of orthopedics, Dr. Molinero utilizes both nonsurgical and surgical treatments in order to provide exceptional healthcare and improve his patients’ quality of life. 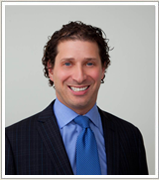 His vast experience includes treatment for varied forms of arthritis using joint preservation/replacement surgery, sports or age related injuries and tendon/ligament derangement using open/arthroscopic surgery, nerve disorders, and trauma/fractures. After graduating from Seton La Salle Catholic High School, he received his bachelor’s degree from Gannon University and his Doctor of Osteopathic Medicine from the Lake Erie College of Osteopathic Medicine in Erie, PA.